Introduced in 2011, the Chromebook is quickly becoming a more easily recognizable device in mobile computing, and is certainly primed to take the top spot for office workers and students who rely on Google Apps. Built to be easily mobile, with some of the recent models averaging more than 7 hours of use on a single charge, Chromebooks get most of their computing power from the cloud. 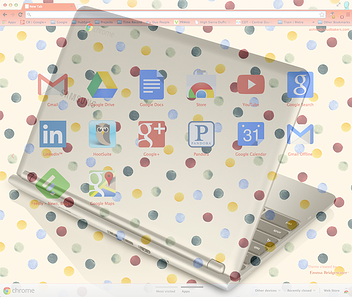 By creating this browser-based computer, Google has pinpointed what people spend the majority of their day doing, whether for work or school, using the internet. Most of what happens in a modern-day office takes place on the computer. More increasingly, it’s possible for work to be done online using web based applications such as Google Docs. Google realizing this, has taken advantage of this fact by using their lightweight operating system, Chrome OS. By making high quality computers, the cost can still be kept down by utilizing a free-to-use operating system. Being mostly a browser, these systems aren’t meant for intense computing or game playing. They are simply a window into the internet, where cloud based applications do all the heavy lifting. Recently Google introduced 3 new Chromebooks on their official Chromebook web store, all with price points under $300. All under an inch thick, and all incredibly lightweight, these little laptops bring a competitive edge to a market inundated with small mobile computing platforms, such as Microsoft’s Surface and Apple’s iPad. Many school districts are also quickly realizing the potential of equipping students with their own personal Chromebook. Caesar Sengupta, Vice President of Product Management for Chromebooks recently told Business Insider that 22% of US school districts are now utilizing Chromebooks in the classroom. This means that in the next few years, there will be an increase of new workers who are already familiar with using a Chrome OS device. The beauty of using a Chromebook is that it cuts down on expenses all around. Other than the devices themselves being inexpensive, they are also cheaper for businesses and schools to manage. Since everything is done in the cloud, users and IT managers do not have to worry about backing up the devices or losing important and confidential company information. Any cached user data stored on a Chrome OS device is fully encrypted using your Google account password. If a Chromebook is lost or stolen, the user can get a new one, and simply log in to access all their data. This minimal downtime combined with the inexpensive nature of Chromebooks means that for business, Chromebooks are one of the best ways to impact the bottom line from IT expenses. To learn more about Google Apps for Business and how working in the cloud can add value to your company, read the 'Truths About Google Apps'. 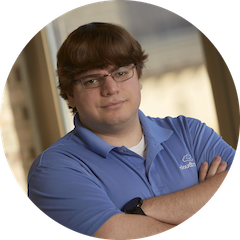 Bio: Mike Meier is our Cloud Support Specialist. He strengthens client relationships by answering questions before, during and after cloud deployment. Follow him on G+. Author Bio: Cloud Deployment Engineer, theatre geek, and aspiring helicopter pilot. Mike has years of experience in customer support and technology troubleshooting, and is always up for a challenge. He knows Google's Enterprise tools inside and out, so much so, we call him the encyclopedia.